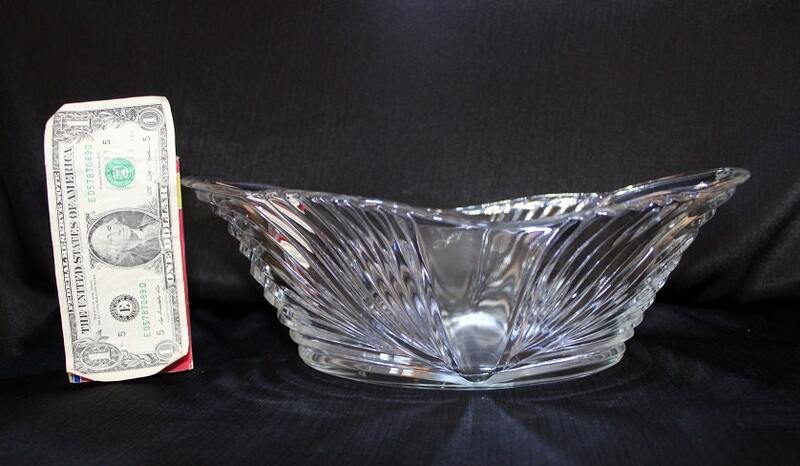 This large centerpiece bowl is a clear thick glass piece. 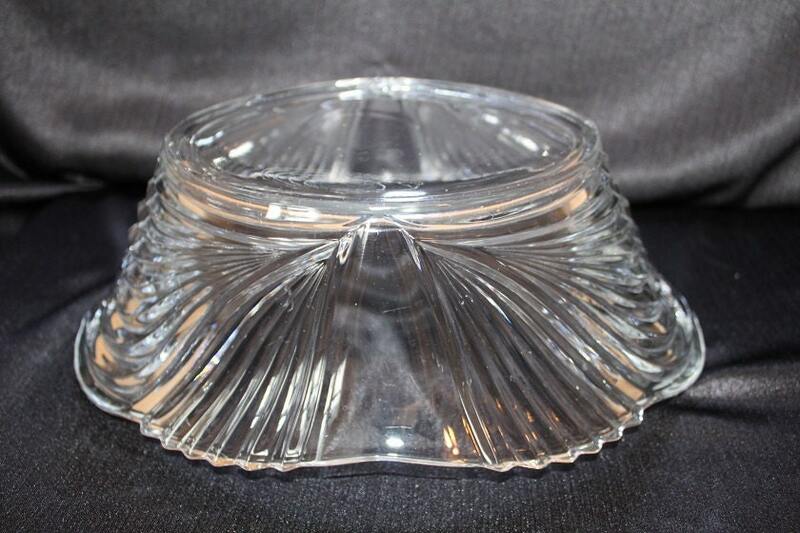 It has an art deco design. 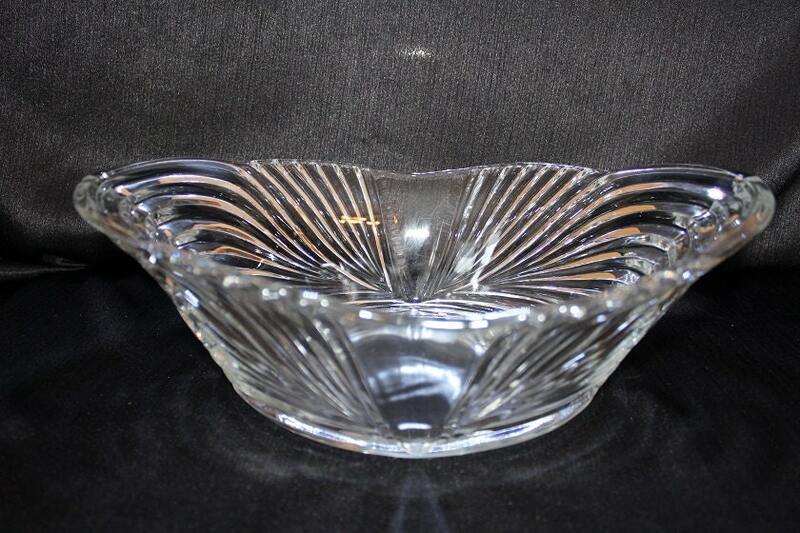 This boat shaped centerpiece has a ribbed pressed glass pattern that swirls vertically along the sides. 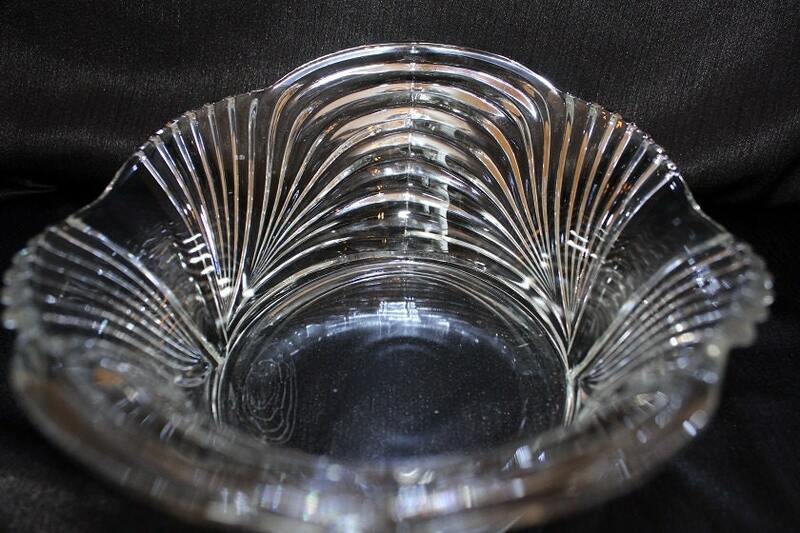 This is heavy bowl. 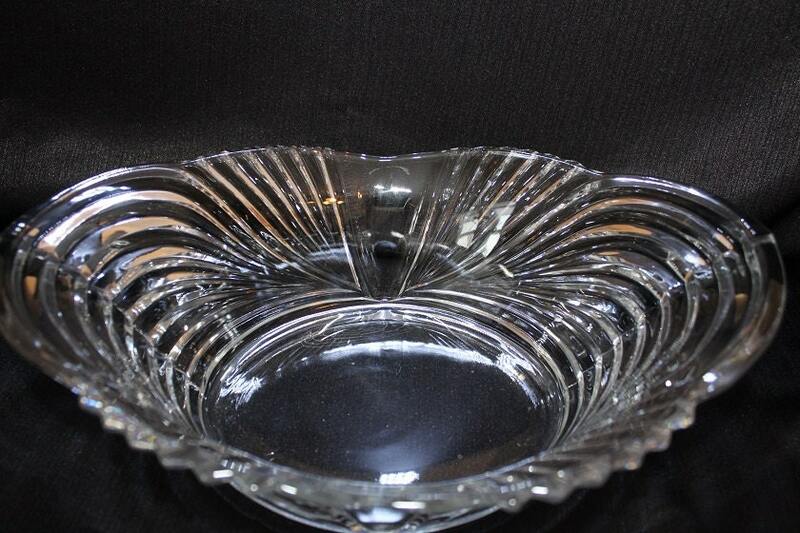 This bowl is in really nice condition with no chips or cracks.